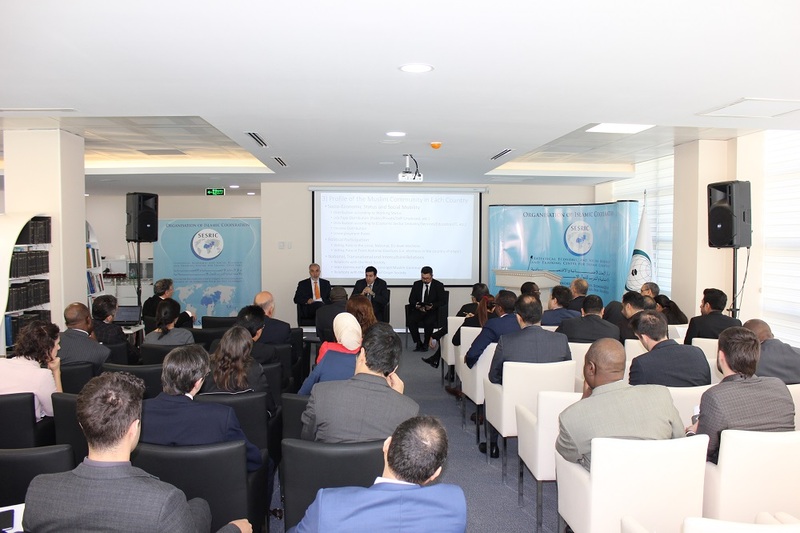 SESRIC hosted a consultation meeting on “The Global Muslim Diaspora Project” (GMD) at its headquarters on 28 March 2017. 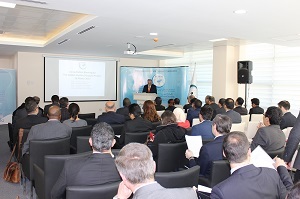 The meeting was attended by ambassadors of OIC member countries as well as representatives from host countries. 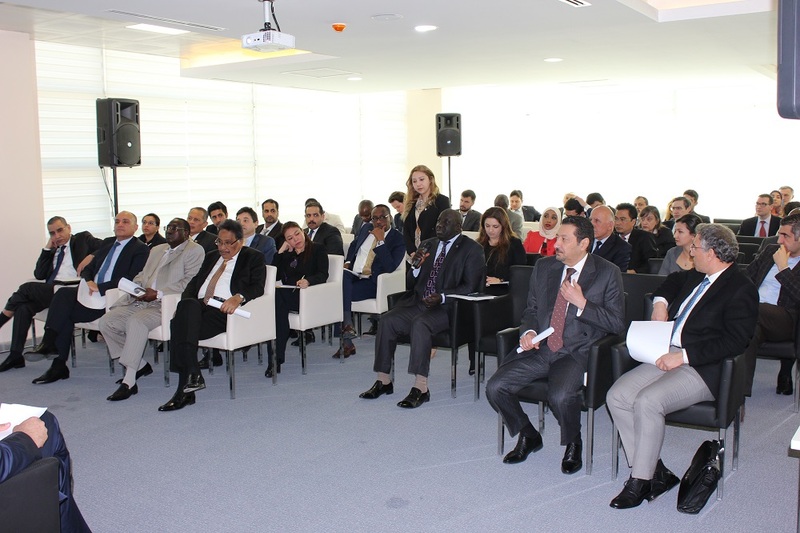 The meeting informed the participants about the scope, methodology and outputs of the project, and collected the comments and suggestions from the audience. The Global Muslim Diaspora Project (GMD) aims at mapping the societal, economic, and legal presence and influence of Muslim communities in predominantly non-Muslim societies. The research study combines a vigorous review of statistical and academic secondary sources on Muslim diasporic groups all around the World with primary data collection through various methods and data collection techniques including focus group meetings, quantitative questionnaires, and detailed interviews. 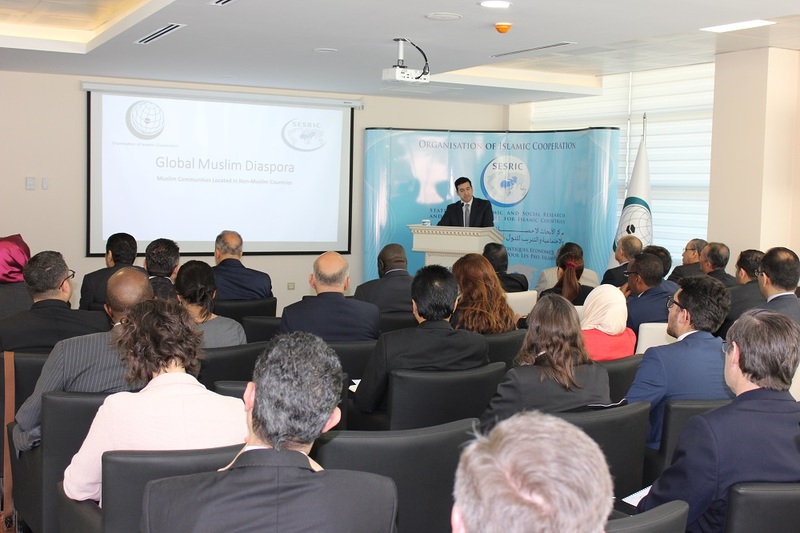 The ultimate objective of the GMD is to create a comprehensive and reliable empirical data source on Muslim diasporic communities around the globe as well as to provide an in-depth analysis of today and prospects for the future. 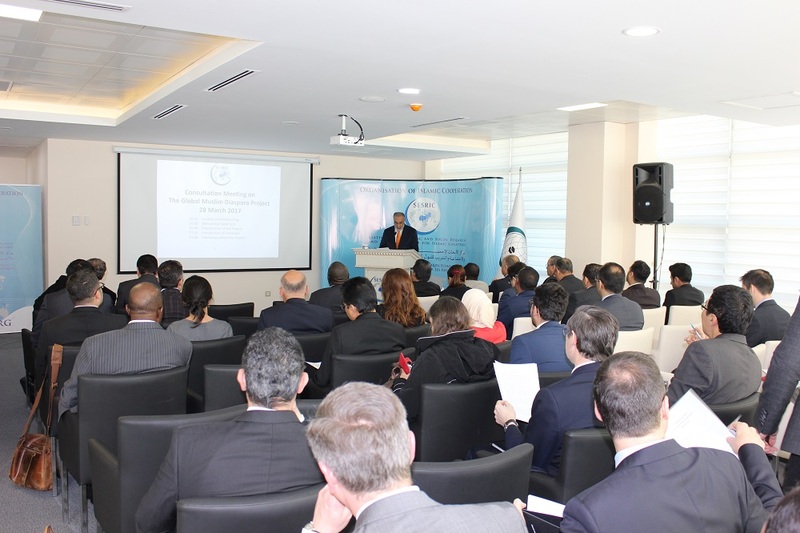 This Project will also help create necessary dialogue for enhanced communication and cooperation between the OIC and various institutions in host countries, particularly migration management institutions. The project could also cast a light on a cooperative platform between the migrant-receiving countries and OIC countries.